Acne issues are not confined just to teenagers. Many adults suffer from acne and embarrassing scarring as a result. If this is something you’re dealing with, Dr. Christopher Hankins can help. 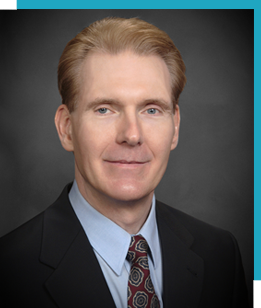 Serving patients throughout Houston, Pearland, Lake Jackson and the surrounding areas of South Houston, he and his dedicated team are ready to help you achieve your aesthetic goals. Acne and acne scars can make your goal of having beautiful, healthy, glowing skin difficult. At Pearland Premier Plastic Surgery, Dr. Hankins and his staff can help you reach your goal of blemish-free skin. Acne and acne scars are a common skin condition and can be very challenging for both adolescents and adults. Acne is a common skin condition which not only affects adolescents, but can be a problem for adult men and women, as well. 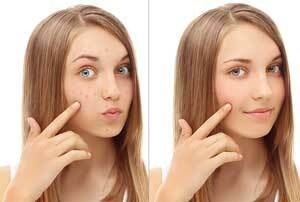 Most teenagers experience light to moderate acne outbreaks that resolve over time and do not require medical intervention. However, approximately 25% of individuals suffering from acne have severe outbreaks resulting in some degree of scarring. Acne affects men and women alike, with genetics and hormones as the basic causes, and certain medications and cosmetics as aggravating factors. Nearly 25% of those suffering with acne are prone to acne scars. These scars can vary in appearance from deep pits in the skin to scars similar to chicken pox. Some scars are embedded deeply under the skin and others can affect the pigmentation of your skin, leaving dark spots behind. This is known as post-inflammatory hyperpigmentation. Ice-pick scars – these are deep, narrow, pitted scars. Rolling scars – broad depressions with sloping edge. Boxcar scars – broad depressions with with sharply defined edges. Acne and acne scars can affect not only your physical appearance, but your self-esteem as well, making you feel self-conscious. At Pearland Premier Plastic Surgery, Dr. Hankins and his staff offer the latest in laser technology to treat a variety of facial issues, including acne and acne scarring. Erbium Laser Treatment treats surface-level scars. The Erbium laser treatment heals quickly, and the risk for redness, skin tenderness, and swelling is minimal. Fractional Laser Treatment is an advanced laser treatment recommended for deep acne scars. The fractional laser targets deep layers of the skin. The ablative Fractionated C02 lasers are now the standard of care for treatment of acne scars, delivering energy to the deeper layers of skin and stimulating new collagen without injuring the skin’s surface. Bellafill can be injected under acne scars using a subcision technique that can greatly improve the appearance of some scars. How much does acne scar treatment cost? Pearland Premier Plastic Surgery proudly offers financing options for our patients – call our office for pricing information. To learn more about the acne and acne scar treatment available at Pearland Premier Plastic Surgery, contact us to set up your complimentary consultation. We’re happy to offer our services to men and women inHouston, Pearland, Lake Jackson and the surrounding areas of South Houston. Stem cell therapy is a cutting edge practice. Stems cells can replace damaged or diseased cells, providing relief that reduces pain, stimulates collagen production, and increases the healing time for wounds.